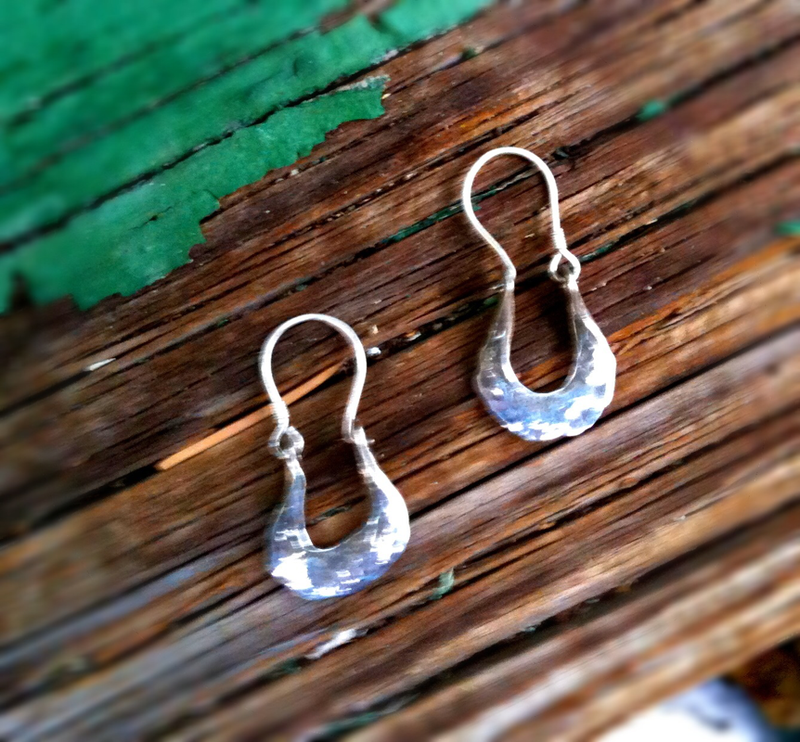 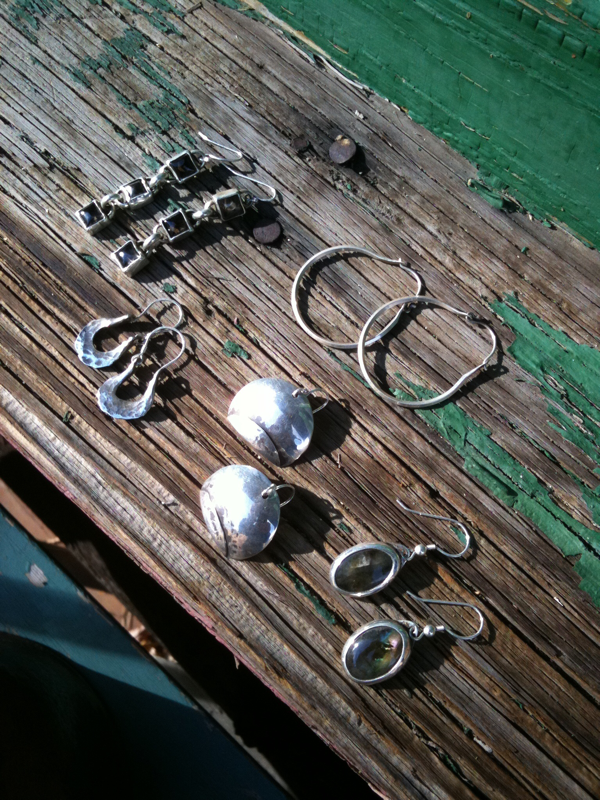 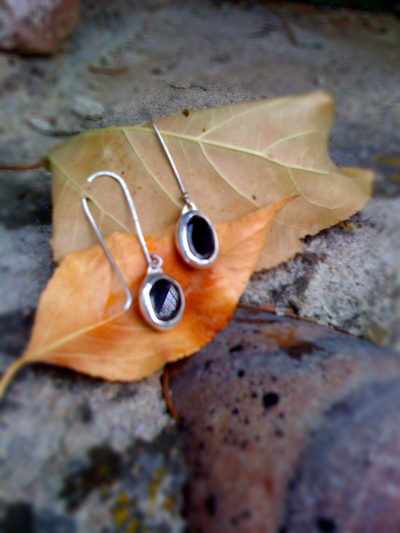 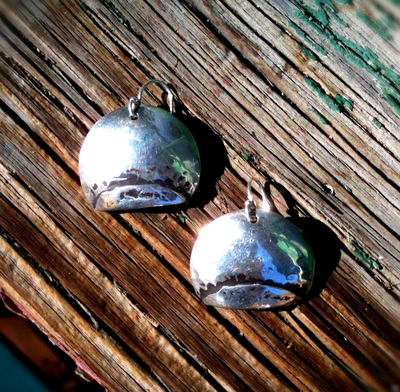 Horseshoe earrings, made of sterling silver, each one is hand hammered from wire and shaped into cute little horseshoe. 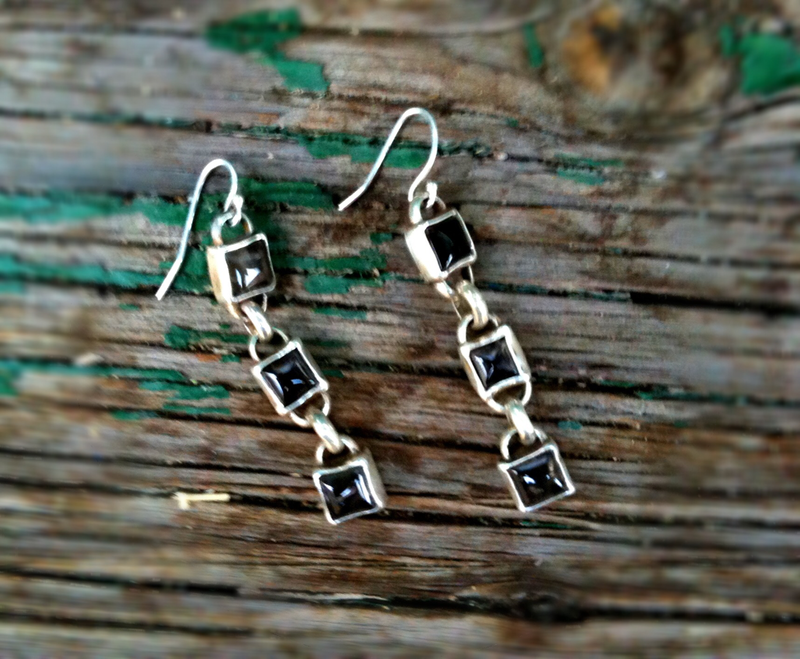 My favorite earrings, I rarely take them off. 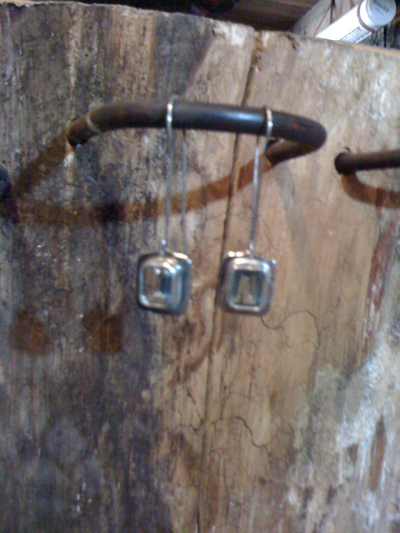 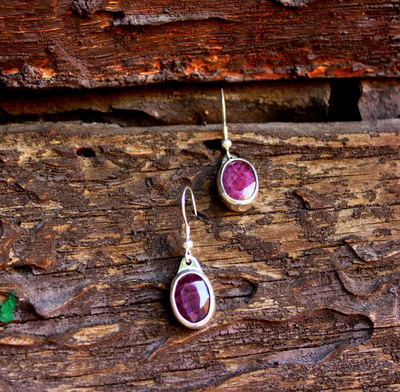 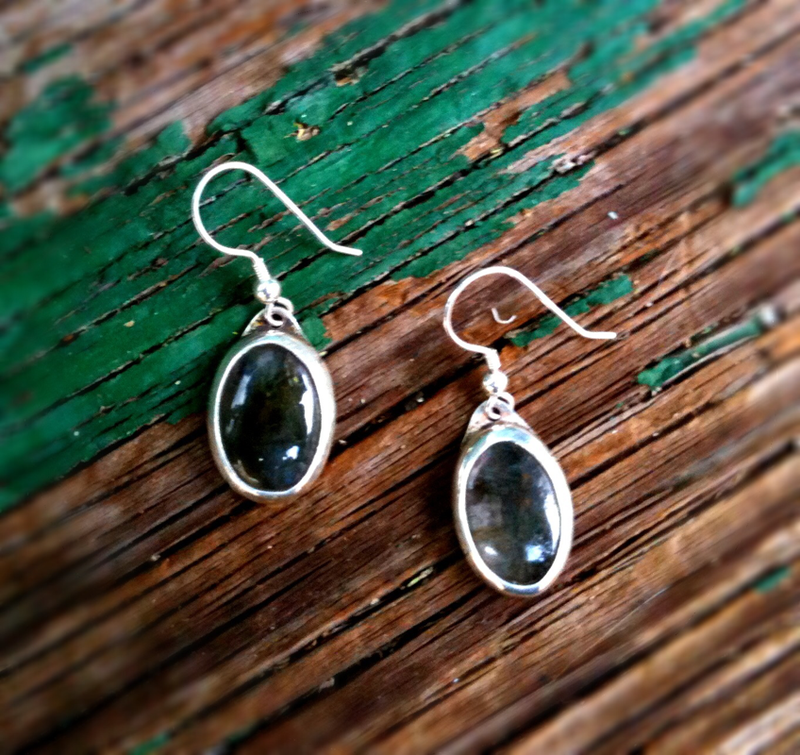 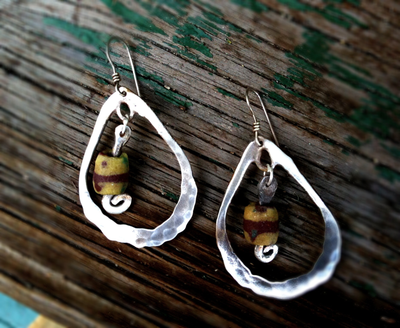 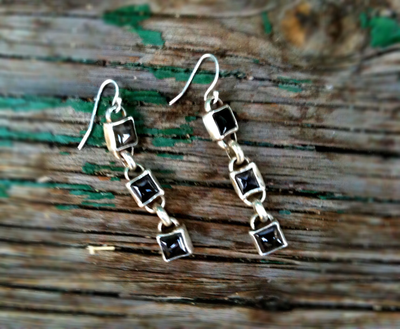 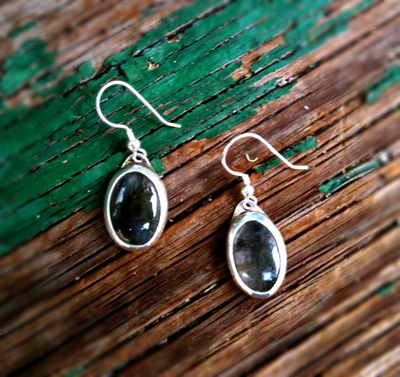 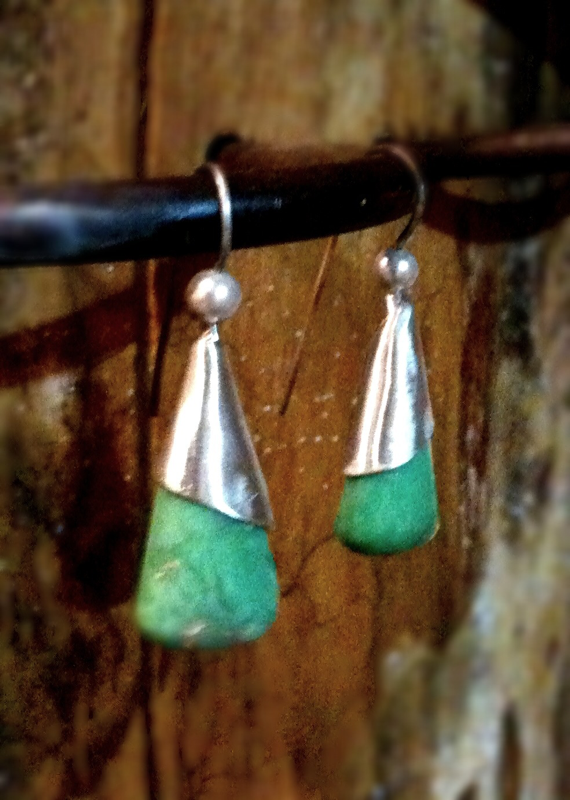 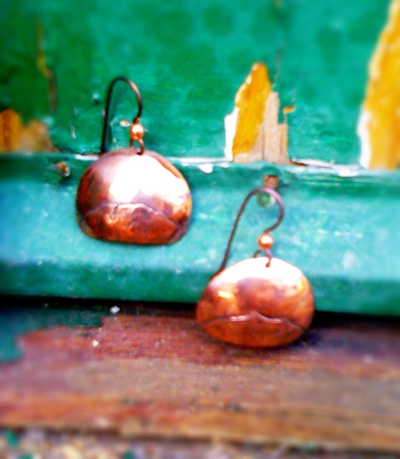 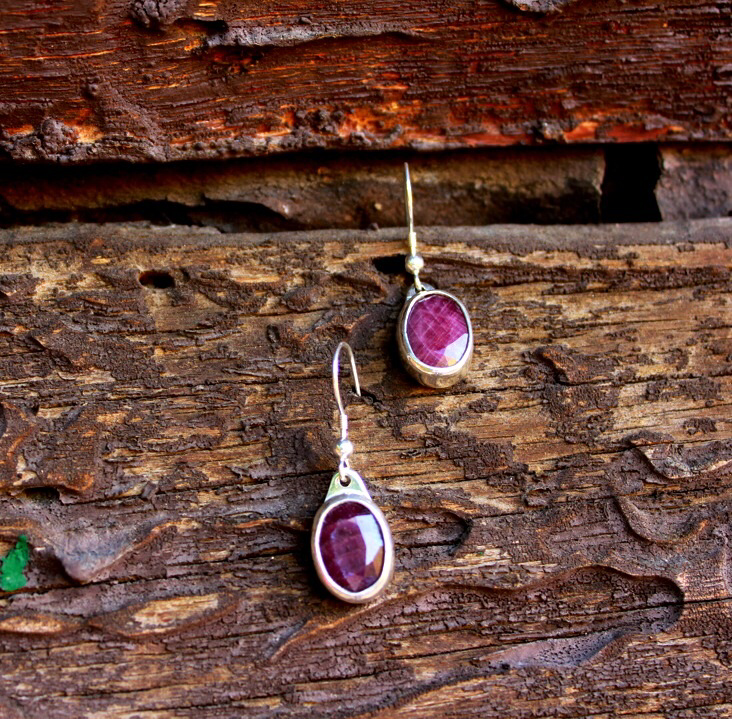 Square mountain earrings are made by hamming, by hand, a strip of sterling silver then folding it. 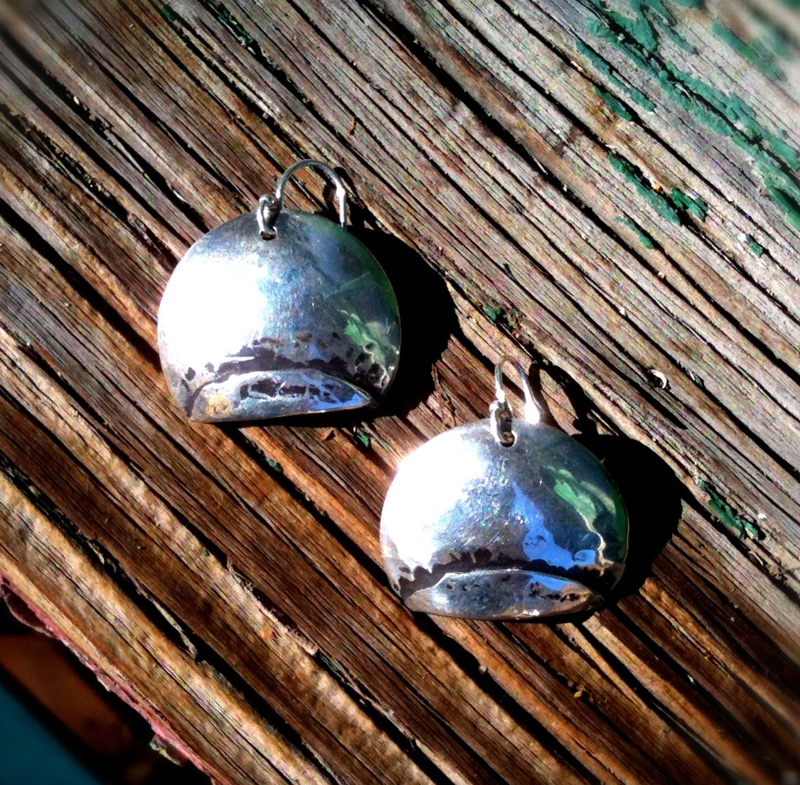 By hammering the ends of the metal a mountain design is created. 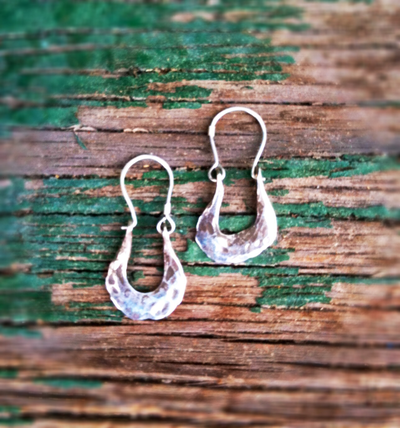 This a are cute and lightweight for every occasion. Sterling silver question mark earrings dangle slightly down you neck.